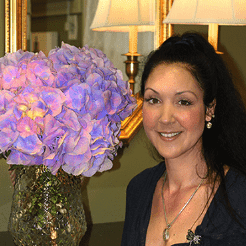 Skin Serenity Medispa, LLC is more than a typical spa. It's the Merrimack Valley's most popular, award-winning medispa. 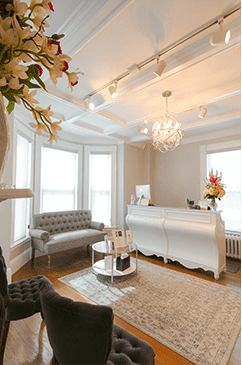 Located in Haverhill, Massachusetts, Skin Serenity Medispa, LLC has helped hundreds of men and women reveal their natural beauty and rejuvenate their skin. The highly skilled and exceptionally qualified medical spa team is passionate about providing the latest skin care techniques and technologies. This exceptional team has been voted "The Best of the Best" for 13 years running in skin care and medical services by Market Surveys of America. For a variety of facials, chemical peels, and laser treatments, along with therapeutic massage and anti-aging injectables, patients in Merrimack Valley, Haverhill, trust their medical spa needs to the caring team at Skin Serenity Medispa, LLC. Relax, refresh, and renew at Skin Serenity Medispa, LLC. Scheduling: Please arrive 15 minutes prior to your service so that you have time to fill out all appropriate paperwork. Cancellation and Rescheduling Guidelines: In an effort to accommodate all Skin Serenity guests a credit card is required for reservation of all appointments. 24 hours' notice of cancelation or rescheduling is required. Failure to cancel or reschedule with 24 hours' notice will result in a service fee equal to 50% of the service price. If no notice is provided a service fee equal to 100% of the service price will be charged. Returns : All product and gift card sales are final and non-refundable. Gratuities : Gratuities are not included in the advertised prices. Credit cards and Gift Cards may not be used for gratuities. Click the link below to purchase a gift card for Skin Serenity Medispa services. *Gift cards cannot be used for injectables.